Hannah is the mind behind Hannah Matthew Designs, an online hub for all things home decor and interior inspiration. Hannah’s home features subtle colors and various textiles to convey a gorgeous, luxurious vibe in every room. 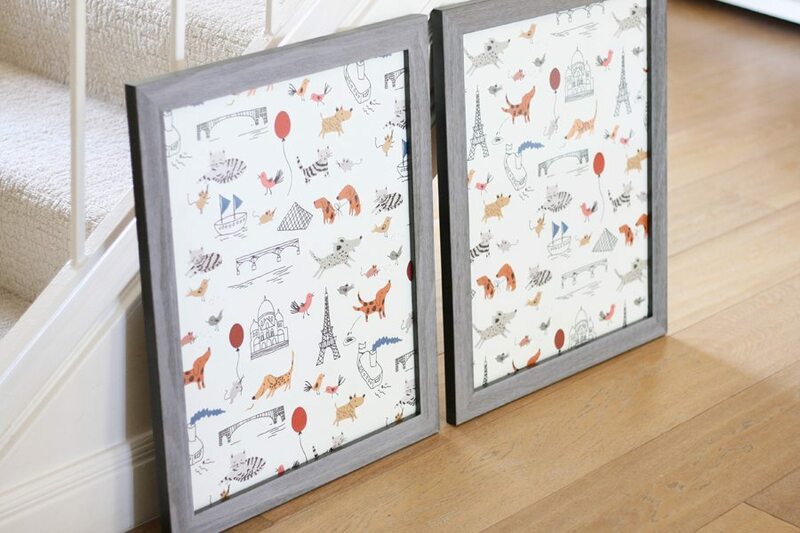 Recently, Hannah picked up our cute wallpaper “Paris” by Little Cube featuring various cartoon French landmarks and adorable puppies, however, she wasn’t ready to commit to wallpapering an entire wall in her son’s bedroom entirely so she decided instead to opt for making the print into some stunning art pieces for his room. 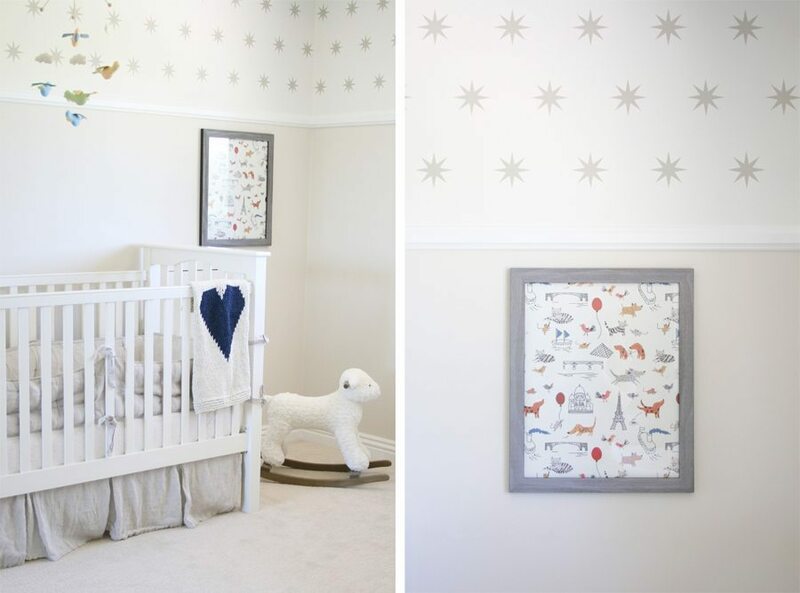 We love how she used the wallpaper in an unconventional way and ended up with some amazing framed artworks to keep! You can read all about how she created the two art pieces in her blog post here or you can check out the step-by-step process in the images below. We love that Hannah turned our wallpaper into art! 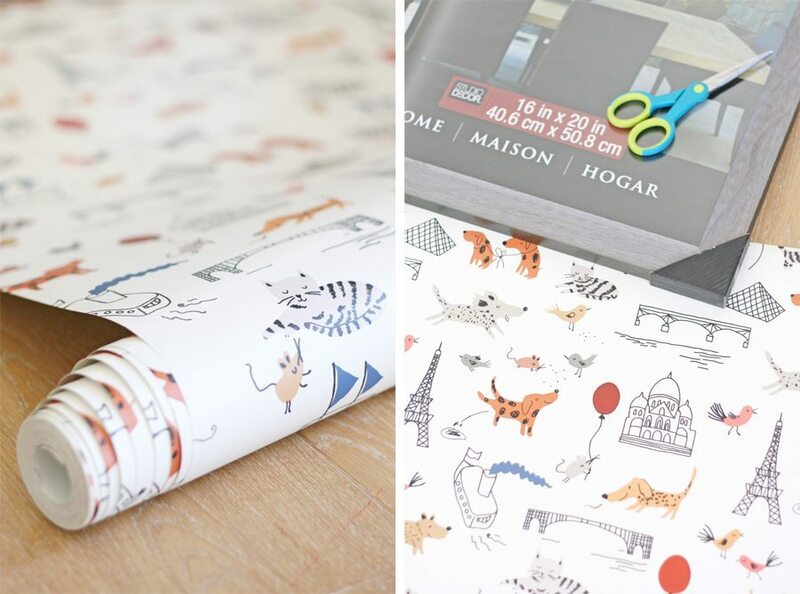 Such a fantastic idea and shows that wallpaper really is so versatile and can be used for a number of interior projects if you think outside the box. 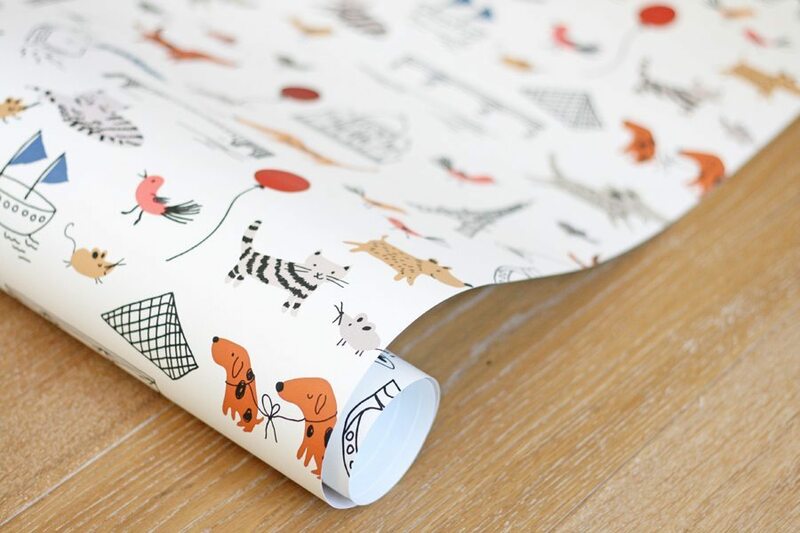 If you want to find out some more projects you can do with wallpaper, you can read our blog post about 16 Wallpaper Projects To Try In Your Home for some inspiration.